Nestled in The Grove at Onemana Beach, our much loved family bach offers a stress free holiday with the beach, tennis courts, petanque court and a children's playground a short flat stroll away. Enjoy sea views out to Slipper Island from the north facing deck. We are located near the surf club and it is an easy couple of minutes walk for safe swimming between the flags. Onemana is a beautiful beach and community with wonderful bush walks, mountain biking tracks, great fishing nearby and good surfing. There is a dairy, lovely cafe and restaurant, as well as rock pools to discover at low tide, sand dunes and a rope swing. A short 10 minute drive to Whangamata will give you a faster pace if required, top up your supplies at the supermarket, treat the kids at Sunny's or take in a movie. Our bach is clean, spacious and is especially good for families. A carport is available for under cover storage and there is an additional fridge and freezer in it for any overflow of food and beverages. Please Note: Although our place is located at the top of the property there is a sloping driveway that leads to the carport and clothes line. Please ask if you require additional information on this. There is a flat piece of lawn at the front that you can park a boat and trailer on. FISHING CHARTERS are available in Whangamata on the "Te Ra" and the "Lady Rose". Information for both charters can be found at Bubba's that is located down the end of Casement Road in Whanagmata. We have sky TV installed and offer a full range of channels for viewing. 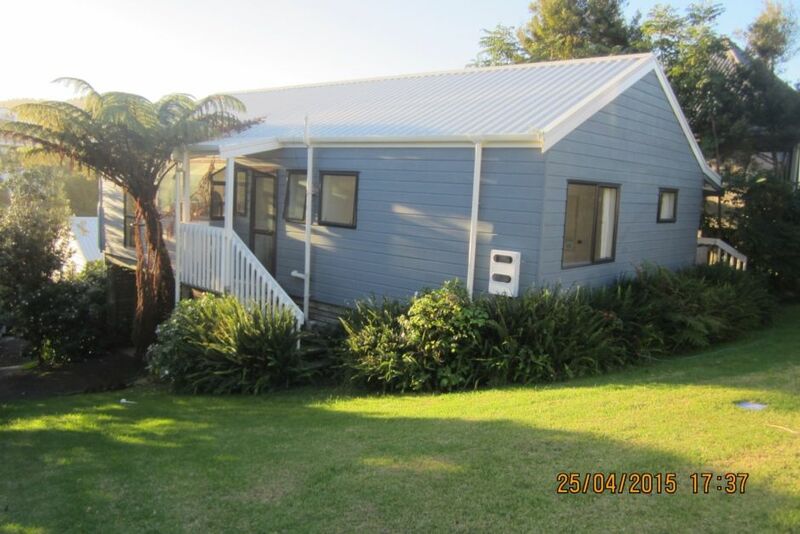 Property is walking distance to beach and dairy/cafe. Lots of living space and good sized deck. Was nice having access to Wifi, Sky TV, swimming pool/spa and tennis courts. Only 10min drive to Whangamata. Would definitely stay again. This is a relaxed beach bach, typical of the kind that we associate with summers in New Zealand at the beach. The location was brilliant! Only a few minutes walk to the sea, and the neighbourhood was quiet and friendly. It is a casual, well situated house with everything we needed to enjoy our holiday. Great little place to stay. Every one needs is at hand in the property. Every one needs is at hand in the property. It felt like we were straight at home the moment we arrived. No negatives all good. Great property and location.Would have loved a clothes dryer as it was wet.Everything was fine. Well equipped bach with everything you needed to make a Summer (and Stormy) stay go smoothly for the family. Great proximity to the beach!